Compression shorts offer a whole host of benefits that can make exercising feel easier. Find the right pair for you using our guide. Compression shorts have long been utilized by doctors and physiotherapists to improve blood flow and oxygen distribution. The fitness world has since caught on to the benefits. A pair of comfortable compression shorts will significantly improve the support and comfort you feel during any exercise. They’ve also been proven to reduce recovery time. This is a long article, and you’re probably in a hurry. For men, look no further than Champion Men’s Powerflex Shorts. They offer superior compression and comfort and make a noticeable difference during workouts. Women, we’d recommend you give these Tesla Compression Shorts a try. The 87/13 split of polyester and spandex seems to be the sweet spot for compression shorts and they cover all the right areas comfortably. This article should give you a good insight into the benefits of compression shorts, and what to look for when buying. Feel free to skip ahead using the navigation below to the section most relevant to your needs. 8.1 What are Compression Shorts? 9.3 Are Compression Shorts for All Seasons? Men’s compression shorts are typically worn under more baggy shorts – but there are an increasing number of brave souls option for the compression shorts only. Regardless of how you wear them, you’re looking for a comfortable level of compression that keeps you supported without being strangled. This section looks at the best products out there for men and follows up with a quick guide specific to the benefits for men. It’s been shown that compression equipment helps to achieve more synchronized movement and better muscle availability during strenuous exercise. These are just two of the handful of potential benefits that compression shorts can provide. Whether you’re looking for that extra little push or just want to look the part, we’ve got you covered. Below are the best compression shorts from men designed to improve blood flow, movement and muscle recovery. These imported shorts are made from 84% polyester and 16% Spandex. Coming in nine different colors, including reflector green, there is a style to fit everyone. The Powerflex shorts are designed to keep you cool while also providing the optimum amount of support. You can machine wash and dry these shorts without worrying about them shrinking on you, even on regular cycles. Moisture management is the name of the game with these shorts. They dry very quickly to keep you comfortable. There is also technology worked in that helps the material wick moisture away from your skin. The seams are flatlock, which is a touch to keep you from chafing. You can definitely use these as compression shorts. The fabric is very stretchy. They even added ventilation zones to make sure your legs can breathe. Champion is a brand that has a great reputation for making high-quality athletic wear. These shorts are definitely no exception. This is an affordable option that still gives you a good deal of compression. They are made out of 85% polyester and 15% Spandex. You can throw these shorts in the washing machine. You will find that these shorts get almost exclusively positive reviews, with people loving the price for a 3-pack of them. There are 16 different color variations you can get in these 3-packs. These shorts have a wide stretch waist with the Neleus logo on them. They are made of Dri-FIT fabric to help you keep cool during your day. You will find ergonomic seams and a nice stretchy fabric that gives you a comfortable fit all day long. People find these shorts to be a good choice for playing sports or for everyday wear. Keep in mind that they are pretty thin and probably would not cut it as outerwear. They have an 8-inch inseam. You can comfortably wear these compression shorts all year. They can help wick the moisture away from your skin and they release heat. You even get 2-way air circulation. These shorts are made out of 87% polyester and 13% Spandex. These shorts are great because they protect your skin from potentially harmful UV rays. They have a UPF rating of 50+, which blocks 99% of these rays. The non-abrasion fabric manages to be durable while still being stretchy and providing you with compression. Coming in a very impressive 36 different colors, these make great compression underwear. They are too thin for most people to wear them as outerwear. If you want a “regular fit,” the manufacturer recommends ordering a size up. Ordering your normal size will give you an “extreme compression fit,” which may be what you are looking for. This is another pair of compression shorts that seems to be widely loved. With these shorts, you get 85% nylon and 15% Spandex. This provides wearers with a great combination of comfort and support. These shorts are great because the material is anti-odor, anti-bacterial, and anti-itch. The fabric is able to breathe during extended periods of exercise. These shorts are great for any time of the year. The material can keep heat in during the winter and helps you stay cool in the summer. CompressionZ uses their own brand of technology and a 4-way stretch to help support your muscles during exercise and prevent cramping. True compression shorts, these use 20-30mmHg compression technology. This is done to promote blood circulation as well as minimize your risk of energy. If you are wanting less compression, you may want to order a size up from your normal one. One of the best things about this pair of shorts is the 100% money-back guarantee they come with. Compression gear is growing in popularity, and with good reason. It can help keep your muscles supported and prevent injuries. Compression shorts are often worn by both professional athletes and people who take their workouts very seriously. It is important to understand the benefits of compression shorts as well as the things you should think about when on the market for the right pair for you. There are a lot of reasons you will see more and more compression shorts in the gym. When wearing a proper pair, they will improve the mobility of the oxygen to your muscles, keep your legs warm, have a positive effect on your blood flow, and protect your skin. There are a lot of considerations to make whenever buying gym wear. When it comes to compression shorts, the fit is the most important one. If your shorts are too loose, they can cinch up around your waist or rub your legs in an uncomfortable way. If they are too tight, they can restrict your movement. Finding the best fit is crucial for men’s compression shorts. You should definitely feel like your shorts are snug, however, they should not be cutting into your skin. If you are in between two sizes, you have a tough decision to make. Those who are seeking compression shorts for recovery purposes are better off going with the smaller size, assuming they fit comfortably. For those who are just looking for shorts to wear when working out, you may want to start with the larger size. On top of picking small, medium, or large, consider how long of an inseam you are looking for. You can find shorts with inseams ranging from 3 to 12 inches. Ultimately, the correct inseam for you will depend almost entirely on your personal preferences. Based on the appearance of compression shorts, many men wonder if they are meant to be worn under other shorts or if they are meant to be outerwear. Most compression shorts are better suited to be treated as underwear, due to their tightness making modesty impossible. That being said, runners like wearing nothing over their compression shorts because they are very aerodynamic. The label on any shorts you buy will give you an idea if they are intended to be worn as your base layer or if they are good to go alone. You may also want to look for a pair of men’s compression shorts that have a cup pocket if you are looking for a little extra support in that area. Compression shorts for men are not terribly complicated. You want a pair tight enough to do the job of compressing but not so tight that it causes you discomfort. Look for a pair that fits well, is made of a moisture-wicking material, and fits into your budget. Many compression shorts can be bought in 2 or 3 packs, meaning you will always have a pair ready to go. For many men, making sure their shorts are machine washable is an important consideration. Luckily, this is a common option, you just need to look for it. Women’s compression shorts are more typically a full garment as opposed to men’s compression shorts that are used more like underwear. The positive here is that you get a lot more coverage. This increase in coverage however makes comfort even more paramount. There are so many compression shorts out there that get the level of tightness wrong in key areas. It’s often very difficult to know how they’ll fare during a workout before you actually workout in them. Hopefully, our top picks can minimize the risk of you being disappointed. Now that you’ve seen our top picks, lets dive in with a closer look at each individual short. Most of the shorts featured here offer a similar level of coverage, and have a fairly comparable blend of polyester and spandex. Keep in mind that different color options can change that fabric blend sometimes as much as a 5% swing. That’s very noticeable in clothing designed to be hug tight. Below are the best compression shorts for women, with attention paid to the distribution of compression for comfort and support. These affordable shorts come in 17 different attractive colors. The waistband was designed to not only look good but to also make sure your shorts stay in place all day long. They have a 7″ inseam. One awesome thing about these shorts it the “hidden” pocket that is perfect for throwing a house key or credit card in. Even some of the thinner phones on the market will fit in this pocket. The shorts are made out of a nice, stretchy (but not restrictive) material. What color your choose slightly changes the composition of the fabric. They all range from 87-90% polyester and 10-13% Spandex. These shorts are decently thick and are not at all see-through. Despite that, they still allow your skin to breathe. The moisture-wicking properties of the shorts both absorb sweat and dry quickly. People find these shorts to fit true to size and you get a 30-day money-back guarantee when you buy these shorts, making them definitely worth considering. You can buy these shorts in a total of 17 combinations, including a variety in the number per pack and the color. They have a 9″ inseam. You can machine wash this shorts, which are made out of 85% polyester and 15% Spandex. These shorts are guaranteed to not be see-through. If you do not like the way they look, the manufacturer offers a 30-day money-back guarantee. There is a hidden pocket on the waistband. It is sturdy enough to trust with your keys or credit cards. There are flatlock seams that help reduce the chances of chaffing. The Gusseted crotch allows for a greater range of movement. These shorts are appropriate for any type of workout, including yoga, as well as your everyday life. You can wear these shorts in all weather conditions. This pair of shorts also has moisture-wicking technology. You can wear these shorts confidently knowing they will keep you dry and comfortable. Here you have another affordable option that you can buy in many variations. They come in red, black, navy, rose, and gray. You can buy them in 1, 2, or 3 packs. These shorts are considered machine washable. The material is 85% polyester and 15% Spandex. These shorts have a 6″ inseam. There is no padding in these shorts. They are designed to fit like a second skin. The waistband is nice and wide and will not cut into your skin. There are flat seams in these shorts to add to your overall comfort. You get one pocket with these shorts. The manufacturer claims the pocket is big enough to hold the iPhone 6 Plus. You will find a good amount of compression with these shorts. They are also elastic enough to give you a comfortable fit. If you are wanting a less-tight fit, it is suggested that you go up a size. These super soft shorts are a little different than the others. They have only 10% Spandex and 90% polyester. They are very versatile and are both breathable and lightweight. These shorts will wick away moisture from your skin and then dry themselves quickly. If you are looking for a compression fit, the manufacturer recommends going down one size, which is different from most brands. True to size will give you a “regular fit” with these shorts. That being said, these do work well as compression shorts. They help keep everything in place while running and working out. People are generally very pleased with the sizing and also with the fact that these do not ride up or down. These are great shorts for working out both indoors and outdoors. There is a single pocket on the right side of these shorts which is large enough to hold even the bigger smartphones on the market. Women can benefit from a good pair of compression shorts for the same reason as men. They can help keep you cool, help direct your blood flow, and help to prevent injury. When shopping for a good pair of compression shorts, there are a lot of things to keep in mind. The right shorts can make your workout better, while the wrong ones can just get in the way. These shorts are very similar to Spandex shorts. They are generally made up of polyester as well as Spandex. They put pressure (compression) on your thighs and buttocks to prevent injuries, as well as give you several other benefits. Many college and Pro-athletes wear compression shorts. The most important factor when it comes to compression shorts is how they fit. The whole reason for choosing this type of shorts is to have a snug fit. On the other hand, you do not want them to dig into your waist or cut off your circulation. You also want to make sure they will not restrict your range of motion. Read the manufacturer’s sizing guide carefully – some recommend ordering true to size for a compression fit, while others recommend going down a size. The materials and benefits of compression shorts do not vary in between men’s and women’s. The main difference seems to be that men’s shorts tend to be made to be underwear while women’s shorts are generally considered acceptable to wear with nothing over them. That being said, many women choose to wear them under other articles of fitness clothing, particularly in the winter. When buying compression shorts, you will want to look for a few things beyond how they fit. For many women, the ability to machine wash their shorts is important. Check to see if the manufacturer says their product is able to withstand the washer and dryer. If they do, follow that up with reading user reviews online to see if it is true. Having a pocket that is large enough to stick your phone, ID, and a house key in is important for many women. This is particularly true if you are looking for a pair of shorts to run in and do not want to be slowed down by a bulky wallet or purse. Since some of the phones out there today are absolutely huge, be sure to read reviews on how big the pocket actually is and what models of phones people have been able to fit in there. Moisture-wicking is another good feature. If you are going to be working out in your shorts, you want to make sure they can pull the sweat away from your body. You also want shorts that dry very quickly. A good pair of compression shorts can help you look and feel great while going through your workout routine. Just be sure to find a pair that fits well and is compatible with your workout needs. Many athletes wear compression gear. At the same time, a lot of people are skeptical when they first hear about it. Tight shorts make you less likely to get hurt and can boost your performance? Seems like a bit of a stretch! The truth is, compression gear does have a lot to offer athletes of every level. In this guide, the benefits of compression shorts as well as what to look for when shopping for them will be discussed. There are many different brands out there, all claiming to be the best. Careful research can help you find the actual best compression sorts for you! Strain Prevention: Compression shorts have been shown to reduce your likelihood of straining leg muscles as well as help you recover from strain injuries. Less Muscle Fatigue: Wearing compression shorts during your workout can reduce stress and fatigue in your muscles. This means you can work out stronger and longer. Better Muscle Oxygenation: Compression shorts greatly improve your blood flow, which in turn helps get all-important oxygen to your muscles. During a short bout of exercise, this extra oxygen can greatly improve your performance. Comfort: Due to the lack of friction and chafing when wearing these shorts, many athletes choose them just because they are so comfortable. They also stay in place while you are doing squats, stretching, running, etc. Lower Risk of Soreness: Wearing compression shorts can have benefits even after you take them off. Many athletes have found they are less sore after an intense workout if they wore these shorts for it. The best way to see if this will be the case for you is to try it out yourself! When deciding what the best pair of shorts are for you, there are a few main considerations to make. In order to make sure your compression shorts fit as intended, you will want to take some accurate measurements of your body. Be sure to measure your waist, seam, and hips. Put the measuring tape on the inside of your leg to get an idea of where different inseam lengths will hit you. This is largely a matter of personal preference. Different brands may have different sizing charts. You will need specific support for your body type, so read each chart carefully. Take notice of the recommendations of the manufacturer – does the true to fit size account for wanting a “regular” or “compression” fit? Do you need to go down a size for compression? Up a size if you want normal fitting shorts? These are all worthwhile considerations to make. There are plus sizes available from many brands of compression shorts. If you are concerned about finding a pair that fit, consider shopping in an actual store instead of online. This will give you a better idea of what the different sizes look like and you may be able to find a helpful employee to assist you. 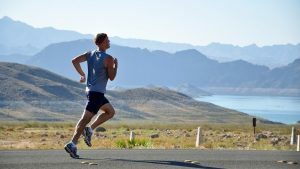 Depending on the types of exercise and sports you participate in, different levels of compression may be better. Think of these shorts as gym equipment, similar to weight lifting belts. Different shorts have different compression gradient levels. This is done to optimize the blood flow. The best way to know what the best shorts are for people who participate in the same activities as you is to ask around. Ask fellow participants as well as the manufacturer for their recommendation, and always be sure to read online reviews for a wide range of people’s experiences. Since the market for compression shorts is growing, more and more brands are getting in on the game. That is great news for you because it means there are a ton of different styles and colors to choose from out there. Find a pair that fits in with your personal style and will make you happy to wear. Be sure to shop for the appropriate gender – there are no “unisex” compression shorts. A good pair of compression shorts will be designed to pull sweat away from your body. They are then supposed to dry relatively quickly. This is great because having a layer of moisture between your skin and your shorts can be uncomfortable. It can also be a way to get colder, faster when working out outdoors during the winter. Many of the best compression shorts on the market have built-in ventilation so that your legs do not overheat. How important this is for you will depend on the weather where you live and how easily your body gets overheated. Are Compression Shorts for All Seasons? The short answer here is yes – you can wear your new compression shorts no matter what the weather is. That being said, if you do a lot of outdoor activities in the winter, you may want to look into compression tights or leggings. Alternatively, look for shorts that are tight and thin enough to wear under other clothes during the winter. Layering your compression shorts does nothing to diminish their effects, provided they are the bottom layer. It is always a good idea to have a few pairs of compression shorts. Like all workout gear, they can get dirty. Having a backup pair or two means you will never have to go without. There are many affordable 2 or 3 packs on the market, so once you find the best compression shorts for you, stock up! The emerging research is pretty clear- there are a lot of benefits that come with wearing a good pair of compression shorts. Now, your job is to go out there and find the best pair for you and your needs. A good quality pair of compression shorts can benefit just about everyone. Remember – the most important things are the fit and the amount of compression. Your shorts should feel like a second skin! Things like cool colors and pockets are nice but are essentially just bells and whistles. Hopefully, this guide was helpful on your road to finding the best shorts for you! 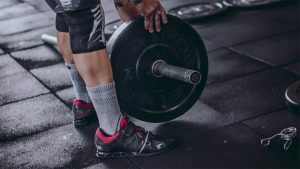 Looking for a pair of deadlifting shoes? This post reviews 6 of the best on the market and brings you a buyers guide. Can Running Shoes Prevent Shin Splints? Preventing shin splints is key for any athlete. This post explores shin splints and whether running shoes can prevent them. Choosing the perfect outfit to take to the gym can be difficult. 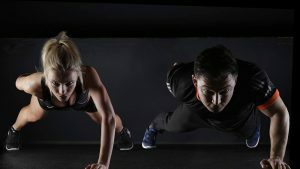 This post explores the best clothes to take to the gym for men and women.